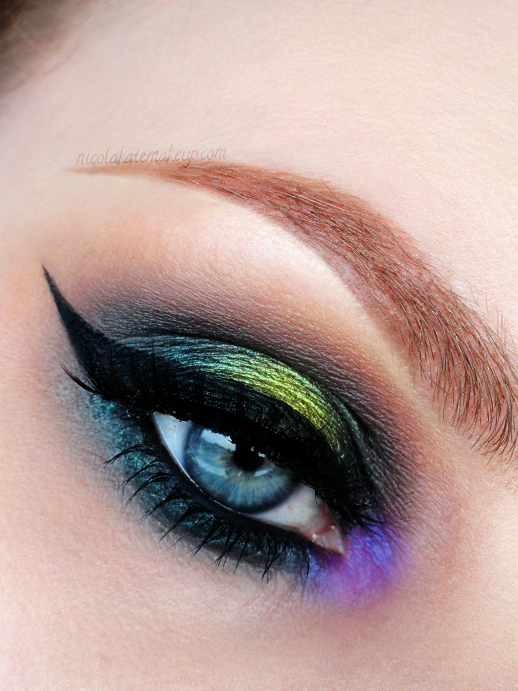 More prettiness from Makeup Geek today before I get round to posting the Halloween costume and makeup I have planned. Using one of my favourite foiled shadows that I received in 'Limelight' to create a smokey spotlight eye. I couldn't help but find a way to throw in some purple, too! Hope you like it!